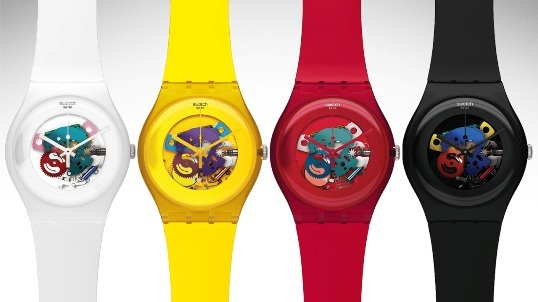 Swatch plans to offer a smart watch in the next three months, according to told Bloomberg. The device can connect to the Internet via smartphone-probably without recharging its battery, said company director, Nick Hayek, a news agency, but did not specify how to do it. The technologies available on the market today (as sunscreens and kinetic chargers) do not provide the amount of energy needed to give life to a smart watch those seen in recent times. Maybe it will go the way of the Withings Activité, a watch of conventional appearance and limited “smart” features, which used a conventional watch battery and offers several months of autonomy. The device will also be able to link to other Android or Windows computers, and can also make mobile payments, although so far only a couple of Swiss retail chains. The company says it has experience in going beyond the normal wrist watch, the Tissot line (using touch screens since 1999) or the Swatch Touch and would appeal to other developments such as flexible batteries to achieve their goal. Swatch note that 2014 was the year in which it applied to more innovation patents, which will allow you to implement the necessary technology. The Swiss company, and changes in posture (until a year ago publicly considered the smartwatches as a fashion) and joined the large group of manufacturers in this field, which includes mainly non-traditional brands like Samsung, Motorola, Pebble ( that takes sold a million of its watches) and Apple, whose clock will go on sale in April. There are many more brands that explore this segment.